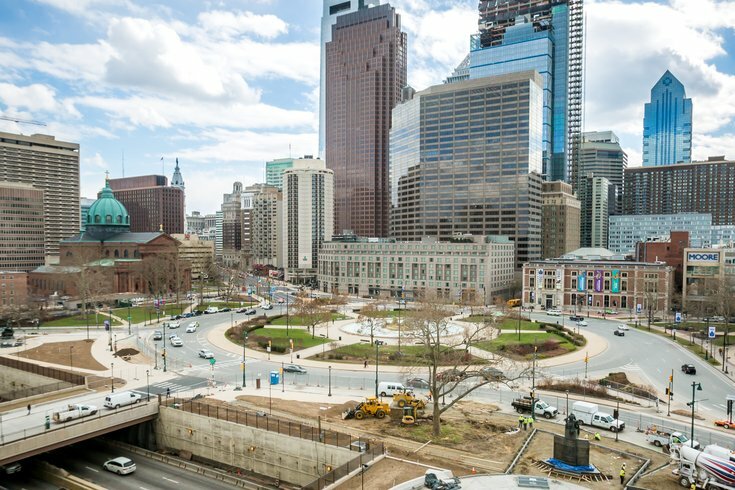 The view of Logan Square from the Free Library of Philadelphia, located at 1901 Vine Street. There's a new spot to drink for cheap on Wednesdays this summer in Philly, and it's not part of CCD Sips. Five at the Fountain invites Philadelphians to head to Logan Square for a cold drink outdoors, beginning Wednesday, June 7. Every Wednesday through Aug. 30, there will be extended happy hour at the Swann Fountain in Logan Square from 5-10 p.m. All beer, wine and cocktails will be $5. The series is part of Parks on Tap Jr., a mini extension of mobile beer garden Parks on Tap that focuses on pop-up happy hours.